【USB RECHARGEABLE & COMPACT DESIGN】Use the equipped USB cable to connect to computer or the charger. Charging Time: 2 Hours. Using Time: for about 5 Hours. 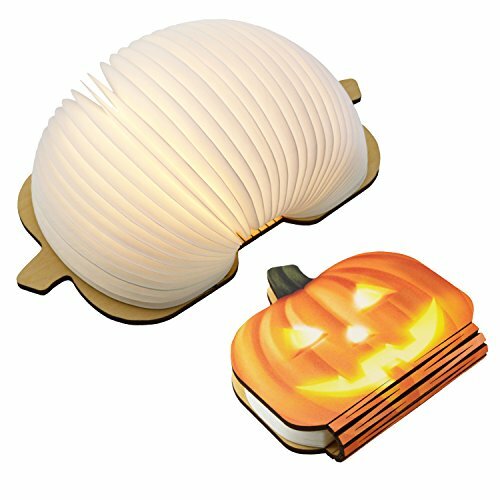 Compact book light can be taken with you on the go and works without cords. MAGNET FOLDING DESIGN:Being able to fold right back on itself means it can cast a light around 360 degrees. Place it anywhere and don't need to worry about bother of wire. 【FREELY COLOR CHANGE】Fours with Red, Blue, Green, Warm white and breathing light mode for you to choose, for changing another color, just need to close the book, and re-open it! You will see another color! If you have any questions about this product by XINQUANTU, contact us by completing and submitting the form below. If you are looking for a specif part number, please include it with your message.